Because we all like things that are pretty and shiny and that make us feel special. 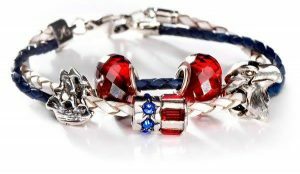 Fresh, alluring and always beautiful, our beads provide a range of styles and colors to match any emotion. Channel the artist inside you to create unique and personal necklaces or bead bracelets that showcase your spirit and individuality. Welcome to Novobeads. Vintage style meets urban fashion! Designed with a mix of new and upcycled fabrics combined with recycled and vintage style materials, our recycled canvas bags from Mona B have become extremely popular. These bags are made from recycled tarps which were originally used as covers on delivery vehicles or army trucks and tents. 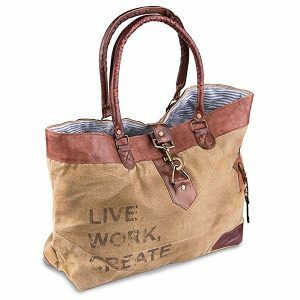 Now they have been salvaged to make beautiful and creative bags and totes with interesting accents, embellishments and printed graphics. Earth friendly fashion that provides unusual one-of-a-kind style at a price that’s also easy on the pocketbook.